Vitamin D is known as essential when it comes to building strong teeth and bones, but did you know that the primary source for Vitamin D is not always food? ** It’s the sun! Unfortunately, the sun does not shine all of the time – and on some days, clouds get in the way or an indoor job might keep us from the sun altogether – so your body may not be getting all of the Vitamin D it needs. Vitamin D3 is a more potent and bioavailable form compared to D2. That’s why we released a Vitamin D potency – 5000 IU! This formula provides a super-dose of D3, an active and potent form of Vitamin D, so you can be sure that you are getting the most potent version of what your body needs. ** And Vitamin D does more than help form healthy teeth and bones; it also assists the immune system. ** No wonder medical researchers around the globe are studying the effects of Vitamin D more than ever before! Whey Protein Creamy Vanilla You can drink Myology Whey Protein any time during the day to add extra high quality protein to your daily calorie intake. Our formula is easy to assimilate; it's 94% lactose free, and aspartame free. Plus, it's only 100 calories per scoop! 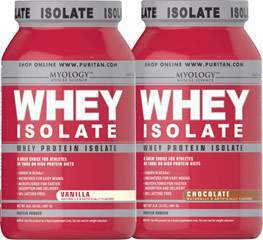 Whey protein mixes fast into a tasty drink using water, juice or milk, and you can take it anywhere. 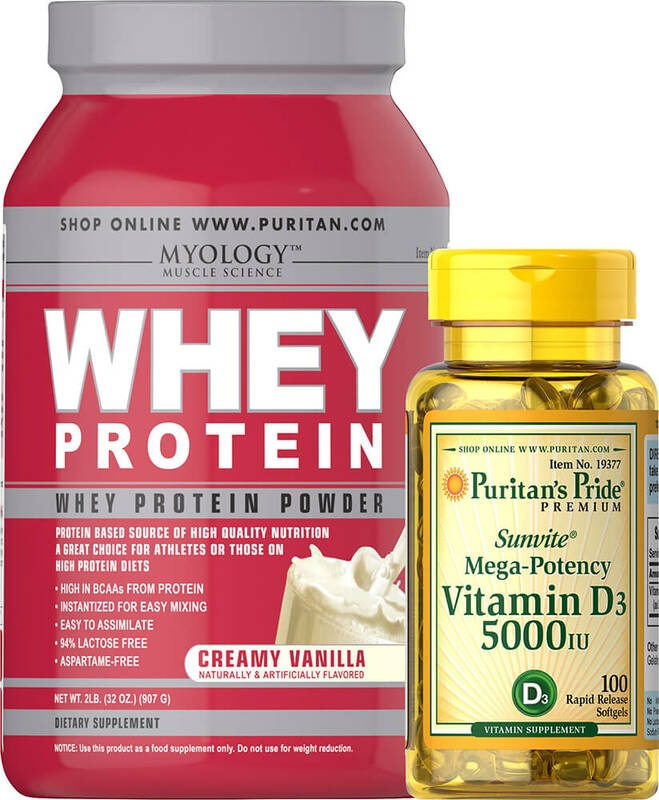 Myology Whey Protein in Creamy Vanilla contains 18 grams of protein per serving.